What will 2013 bring for the retail real estate market? 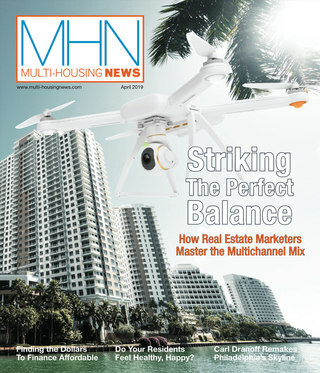 What will 2013 bring for the retail real estate market? Between deal-making sessions at the International Council of Shopping Centers’ annual fall convention in Manhattan this week, executives discussed the industry’s outlook. A picture emerged of a market that will improve gradually, if unevenly. Uncertainty over economic conditions and government fiscal policy continues to create some moving parts for retailers’ plans. “We know they’re looking for space,” said Greg Maloney, president & CEO of retail for Jones Lang LaSalle Inc. Projected expansion plans could vary widely; the question, Maloney explains, is whether a growing retailer will decide to open six new stores next year or 20-plus. At the moment, retailers are expected to launch upwards with 78,000 new locations in 2013—a four-year high, Jones Lang LaSalle reported Monday in its annual preview of the retail real estate market. Other upbeat projections from this week’s report include 52 million square feet of new retail space coming on line, which would amount to a year-over-year increase of 150 percent; continued growth of the stores-within-anchors trend, such as Macy’s plans to open 450 Finish Line stores; and improved durable goods sales, particularly in the second half of next year. From a niche perspective, retail real estate is likely to experience something of a bookend effect, as retailers on opposite ends of the spectrum appear to be in particularly strong positions. “If you have a value side or a luxury side, things are looking good,” Maloney said. That could translate to encouraging news for some properties outside the Class A category, as a shortage of available space there could send retailers to Class B assets instead, he added. Store footprints will continue to shrink, as they have been among big-box retailers. “They may have 20-, 30-, 40,000 square feet, and they’re looking to cut it in half,” Maloney concluded. In many cases, the opportunity to backfill inventory left over from the Great Recession is putting the brakes on new development, he noted. Executives at the ICSC show reported that retail’s net-lease corner is demonstrating increased demand from investors. 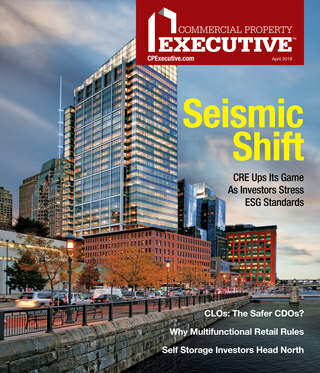 “We continue to see cap-rate compression in the net-lease space,” said Harold Briggs executive managing director and head of the investment sales team at the Stan Johnson Co. “There’s so much capital chasing the net lease space that we’re seeing the investment community take on more risk than they historically have done.” Since 2011, cap rates have decreased by about 25 basis points across the board for net-lease properties, he added. Drugstores and other premium single-tenant retail assets are in especially short supply, especially in core markets, and that is forcing investors to broaden their horizons. As they hunt for yield, buyers are turning to opportunities like sale-leaseback deals for convenience stores. Whereas a drugstore in a top-tier market could command a cap rate in the 6 percent range, the rate for a convenience store in a tertiary market might run closer to 8.5 or 9. On the development side, a fair number of build-to-suit projects are moving forward. Because of the difficulty of securing financing in a lending environment that remains relatively conservative, however, developers must often look beyond commercial banks and other conventional sources. Briggs noted that Stan Johnson Co. is fielding a growing number of requests from developers to match them up with limited partners who can provide equity for a deal.